To travel by air has been a dream that man had thought impossible for centuries, but with the invention of the airplane by the Wright brothers, that dream is now reality and man has since been able to soar through the open skies together with the birds and the clouds. Thanks to this new ability of flight humans have been able to cover great distances in their pursuits of travel, business, and other worldly matters. The have been able to interact with others of their own kind and those who are strange and seem alien in nature to their very own mannerisms, language, skin, and culture. Flight has made great contribution to the continuous evolution of mankind and continues to do so. Mankind has even been able to fly to the stars thanks to some even more advanced technologies. We humans are curious about many things and our curiosity may know no bounds. But with the ability of flight, it has somewhat sated our desires to know more about the world we live in and the other people who live alongside us. Nowadays man travels through the skies to get to their destination in speed and luxury. There is entertainment in the planes we now ride, and depending on the class of the seats, food is also served. Seats can even become your sleeping quarters. Flying through the skies has never been more comfortable than it is now. It often feels as though we are flying in hotels since airlines try to make their passengers as comfortable as possible. No matter where they are based in this shrinking world, the airline industry now focuses on service and efficiency, as exemplified by these top airline companies from the Eastern contintents. 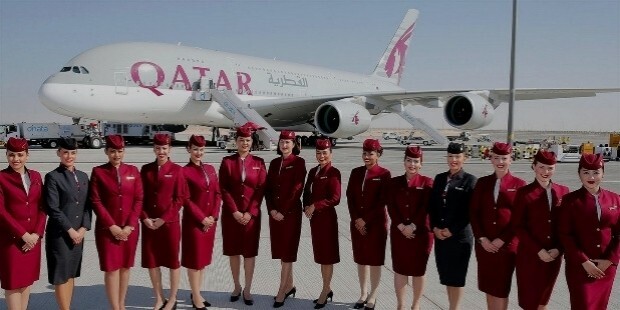 Qatar Airways Company Q.C.S.C., of the country of Qatar, links to more than 150 international destinations across most of the world's regions and more than 180 aircrafts at its disposal and based in Hamad International Airport. The airline has been awarded the "World's Best Airline" four times, including the 2017 award. Each aircraft has personal seat-back TV screens and offers onboard Wi-Fi connectivity. Their first-class cabins feature a 90-inch seat that unfolds fully to a flat bed, and entertainment options displayed on each of their 26-inch TV screens. 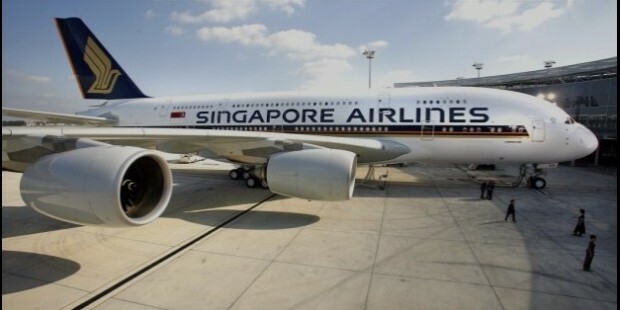 Singapore Airlines Limited is the main airline for Singapore, with its hub located at Singapore Changi Airport. The airline has the world's largest passenger aircraft, Airbus A. The airlines also have very diverse options when it comes to their catering. Its variations depend on the region of your respective flight. For example, they are known to have served Kyo-Kaiseki for flights to Japan, Shahi Thali for flights to India, and Shi Quan Shi Mei for flights to China. This is probably the best airline for people who like to try out new dishes, or at least have a pre-taste of the country they're headed for. All Nippon Airways Co., Ltd. is the largest airline in Japan with its main hub at Narita International Airport. 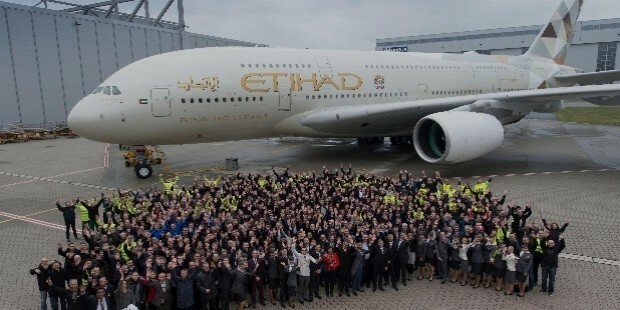 The airline has more than 20,000 employees, with each of them worth commending. The airline features the signature Japanese cuisine and has options for snack bags and beer or wine (if you're in the mood for it midflight). They also serve Western dishes should your palate not be suited for the East. The airline certainly acts as honorable as the Japanese are known for. 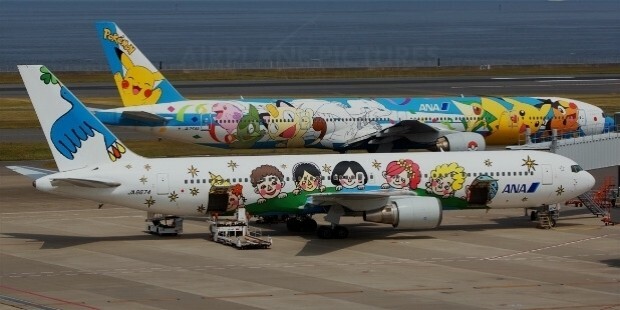 The aircraft livery tends to also embrace popular culture in Japan, as seen in these cutesy anime-themed airplanes. 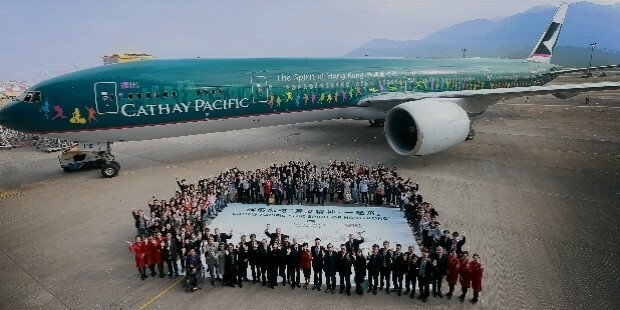 Cathay Pacific is the main airline for Hong Kong, with its main hub is located at Hong Kong International Airport. The airline operations have passenger and cargo services flying to about 180 destinations across 44 countries worldwide. The airline is one of the most reputable airlines in the business, being the "World's Best Airline" four times under its belt, and has consistently been in the top rankings of the best airlines in the world. The airline provides video-on-demand services for their passengers. But it has been said they could use a better menu when it comes to their catering. 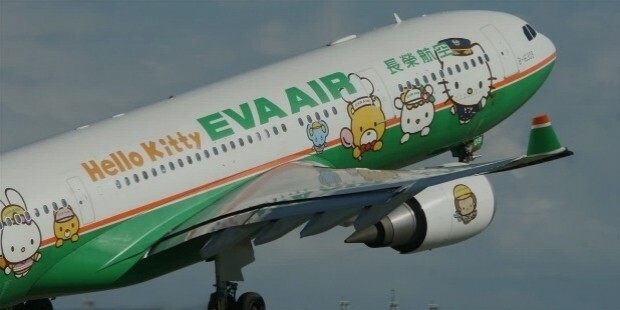 EVA Air Corporation is a Taiwanese international airline that is based at Taiwan Taoyuan International Airport. It operates passenger and cargo services with more than 40 international destinations across Asia, Europe, North America, and Australia. 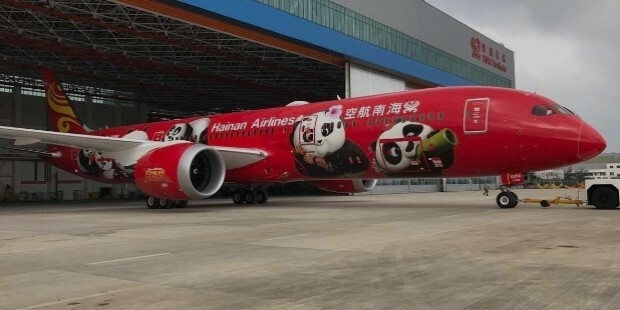 It is also the second-largest airline in Taiwan. Among the major airlines in the world, EVA Air is ranked 6th overall in terms of overall safety as of 2017 with no major incidents or accidents since its establishment. 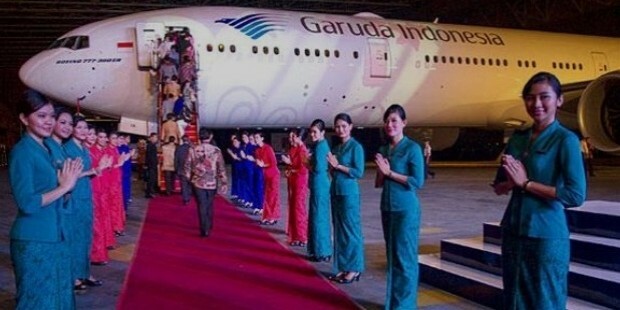 Garuda Indonesia is the national airline of Indonesia named after the holy bird "Garuda" of Hinduism. Its headquarters is located at Soekarno–Hatta International Airport and has been rated as a 5-star airline since 2011. The airline was at its peak around the 1990s but suffered in the late 1990s and early 2000s. 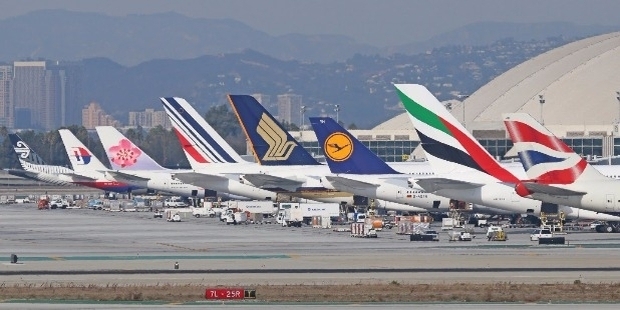 In 2009, the airlines established a five-year modernization plan that would overhaul most of its identity, thus becoming the "Most Improved Airline" once the overhaul was complete. More notably, for 4 consecutive years since 2014, the airline was awarded "The World's Best Cabin Crew." 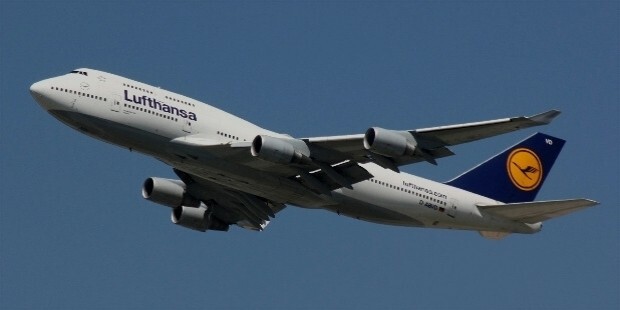 Deutsche Lufthansa AG is the largest airline in Germany, and when combined with its various subsidiaries, it makes up the largest airline in all of Europe in terms of the size of its fleet with more than 600 combined. It has nearly 200 international destinations across Africa, North and South America, Europe, and Asia. The airline is known for its very professional service and its attentive crew members. 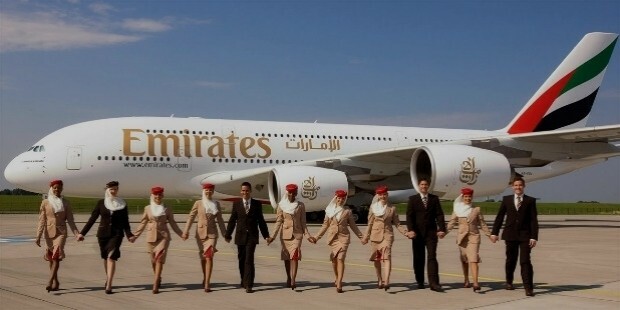 Emirates is the largest airline in the Middle East that operates for destinations to more than 80 countries around the world and with its main hub at Dubai International Airport. The first-class cabin has 2 types of seating—full suite with doors, or the Skycruiser seat without doors. What is interesting is that the full suite has a mini bar, a coat rack, and storage space. The airline plans to introduce new first-class suites by the end of 2017 that resemble private bedrooms on luxury yachts. Its A380-800 aircraft already features shower-equipped lavatories and a spa. This seems like the ideal airlines to travel in true class. Etihad Airways is the main airline and second-largest airline in the UAE with its main hub at the Abu Dhabi International Airport. As of July 2017, the airline operates about 116 passenger and cargo destinations across Africa, Europe, North America, South America, Asia and Australia. Their airbuses feature audio/video on demand, broadband Internet, live TV, and—interestingly enough—in-flight telephone facilities. 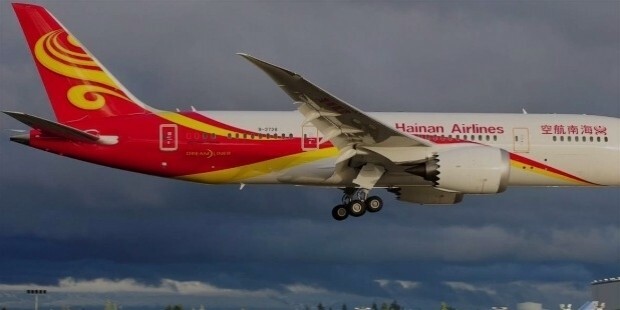 Hainan Airlines Co., Ltd. is the largest civilian-run airline company and the fourth-largest airline in China. Its main hub is located at Beijing Capital International Airport. The airline is yet another to be rated as a 5-star airline. The crew is remarked to be very accommodating both in the air and on the ground, which goes to show that the service and attitude of the airline's crew can go a long way in terms of image. In fact, it's what most, if not all, of these airline carriers have in common.